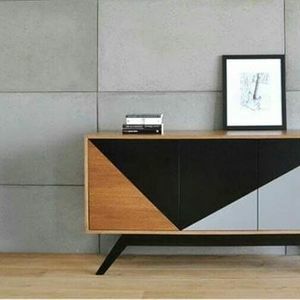 Learn how to give your mid century modern furniture a contemporary and fresh new look whilst celebrating its retro, avant garde styling. I will teach you everything you need to know from how to prepare your pieces for painting, including some basic restoration and repair tips, before taking you through a range of paint techniques including using Frog Tape to create unique patterns and designs, colour blocking, palette selection and decoupage technique. Materials Included: Access to my collection of Frenchic Furniture Paints, Finishing Coat and Waxes plus use of my Frenchic brushes, a light lunch and as much tea and cake as you can manage! Classes are small and limited to a maximum of 6 people, so you get the personal tuition you need to help you with your project. Please note that this is an intensive course so this workshop is suitable for all, regardless of skill levels. The £85 fee is payable by either BACs or Paypal and secures your place on this exciting workshop. (Please message me directly for payment details) You will each receive a 10% discount voucher redeemable at any of my Frenchic concessions across Dumfries and Galloway.